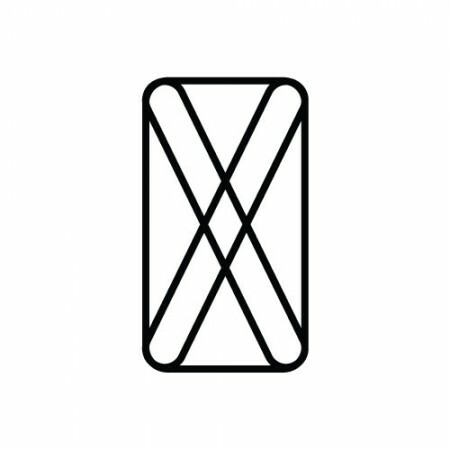 “Be ye a finger or be ye a thumb,” you are all cordially invited by Mike Haeg to participate in a life-size string figures—including Cat’s Cradle—on Open Field this summer in which each finger shall be a person. As an artist and social engagement maestro, Haeg is interested in simple shapes and shared spaces. Last year, he orchestrated the Walker’s very own MASH pole and arrow exchange—the WALKER pole—in which participants contributed and traded distance markers for locations real and imaginary. Mr. Haeg conceptualized and is the first and only lifelong mayor of Mt. Holly, his home in Shakopee, a location that likewise marries the real and fantastical. His artistic projects, like his humble abode and town, reflect his passion for craft, playful interaction, and man’s propensity for silliness. 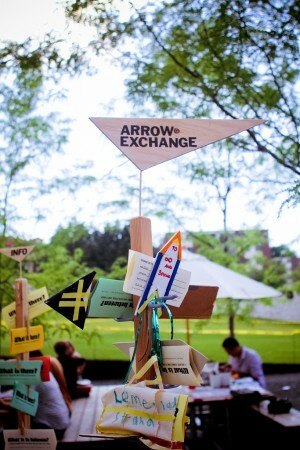 Mike Haeg's Arrow Exchange Activity from Open Field 2011. Photo by Zoe Prinds-Flash. This year on Open Field, Haeg is investigating the literal ties that bond the family in play for in his words “[n]othing binds the American family together so absolutely as a short length of rope.” Haeg will be joined by local artists Holly Peterson and Amanda Lovelee and writer Peter Schilling, Jr. for his project The Big String Thing. Check out the old-timey sport that rarely requires more than a piece of string and a partner, tinker with a custom-made string figure tool kit, or admire the geometrical string shapes that will be performed in the Walker’s backyard. The Big String Thing will happen three times on Open Field this summer and you won’t want to miss the chance to be a part of it: tomorrow, Thursday, June 14 , July 12, and August 30,2012 from 6-8pm.